It's easy to see why anthologies have become such a popular format on television lately. High-profile actors can sign on without a multi-year commitment; plots are well-served by having a definitive ending; and viewers get the thrill of experiencing something new and exciting every year. As incredible as FX's The People v. O.J. 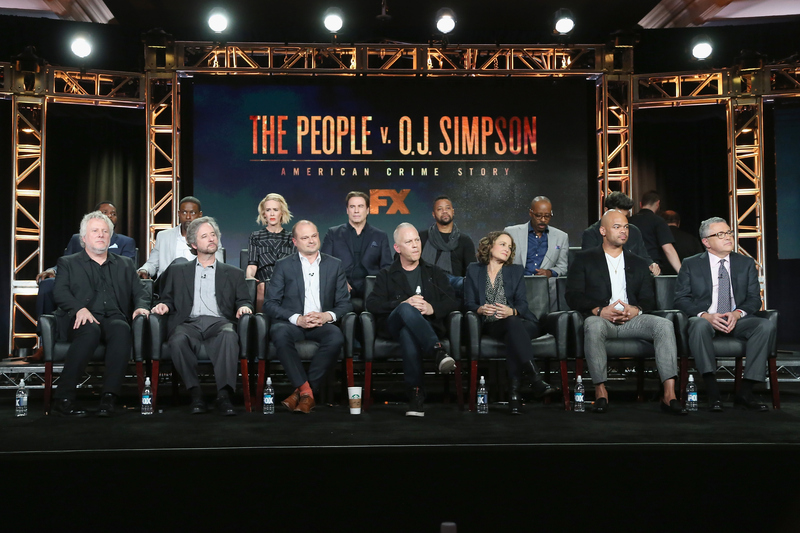 Simpson: American Crime Story has been (and it has been incredible, hasn't it? ), that story was always going to have a finite lifespan, so I can't wait to see what producer Ryan Murphy and the rest of the team are going to cook up for us next. What will American Crime Story Season 2 be about? Thankfully, that's a question we already know the answer to. Unlike the upcoming season of Murphy's other FX anthology series, American Horror Story, which is still shrouded in mystery, the producer has been very forthcoming about what to expect from the sophomore season of ACS. Back in January, almost a month before The People v. O.J. Simpson had even premiered, The Hollywood Reporter revealed the concept for Season 2… and it couldn't be more different from the claustrophobic courtroom drama of the inaugural season: rather than focus on another murder trial, ACS Season 2 will be about Hurricane Katrina and its "devastating aftermath." This drastic change in tone brings to mind the popular podcast Serial, which started off its first season with a whodunnit murder mystery and transitioned to a story that broadened the meaning of the word "crime." (The desertion and subsequent captivity of Bowe Bergdahl, in Serial's case.) Murphy and his team chose "not to focus on trial-of-the-week fare but rather other Simpson-style watershed moments in American culture," as THR reported. "[Moments] where there are before and after moments, and they change the way we look at the subject at hand," co-producer Nina Jacboson told the publication. O.J. Simpson's infamous 1995 murder trial, which ended with Simpson being found not guilty, was certainly one of those moments, affecting the way "reality" was consumed as pop culture in America, and directly giving rise to the Kardashian family and their ensuing reality TV empire. And Hurricane Katrina was another one of those moments… albeit for very different reasons. "I want this show to be a socially-conscious, socially-aware examination of different types of crime around the world," Murphy told THR. "And in my opinion, Katrina was a f*cking crime — a crime against a lot of people who didn’t have a strong voice, and we’re going to treat it as a crime. That’s what this show is all about." If that's what ACS Season 2 is about thematically, then what is it about story-wise? Murphy said that the plot will "follow a group of six to eight people in an attempt to examine all sides of the tragedy, from the Superdome to the hospital to those who were put on buses and dropped off with babies who were forced to wear trash bags for multiple days." Hopefully he'll be able to recruit Season 1 standouts like Sarah Paulson, Courtney B. Vance, and Sterling K. Brown to play a few of those central characters. Murphy's fascination with the city of New Orleans has been apparent of late, given that Seasons 3 and 4 of American Horror Story and Season 1 of Scream Queens were all filmed in the Big Easy. It's easy to imagine that his desire to tell a story about Hurricane Katrina sprang directly from the time he spent in the city so irrevocably changed by it. So while ACS Season 2 may seem like a drastic departure from the first season, hopefully it will allow Murphy to do what he does best: tackle thorny social issues while giving his ridiculously talented actors room to deliver powerhouse, Emmy-worthy performances. If that's the case, then there's no reason to expect that ACS Season 2 will be any less compelling than the first.